But first Volker will visit Kyiv on 27 October. 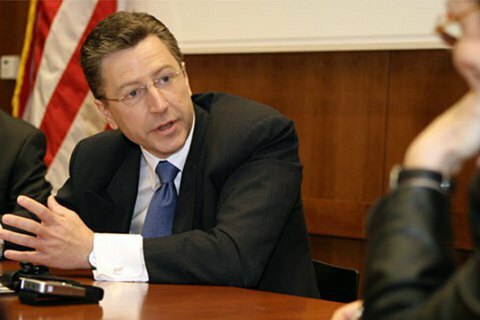 US Special Representative for Ukraine Kurt Volker and Russian presidential aide Vladislav Surkov met on 7 October. However, no details of the meeting have been made available until now. LB.ua learnt from its diplomatic sources that the meeting consisted of three blocs: lunch, an hour-long tete-a-tete meeting, and communication in an extended format with delegation members present. At the talks, Volker was concerned about two key things. The first one is whether Russia is ready to move forward with a settlement in Donbas, the second one concerned timing: before or after the Russian presidential election scheduled for March 2018. The sources told LB.ua that Surkov nearly literally told Volker that "Putin would like to be seen as a peacemaker". Surkov added that Russia supported a peacekeeping mission in Donbas but had a number of reservations regarding its powers. In particular, Moscow does not want peacekeepers anywhere alon the border. Instead, it wants the mission to have a police component because it is especially important during the "transition period" (after troops and arms are withdrawn). According to LB.ua, during their previous meeting in Belgrade on 7 October, Volker and Surkov failed to reach any specific agreements. Volker and Surkov may meet in early November after the US diplomat visits Kyiv on 27 October 2017, according ti the sources. Prior to this meeting, Russia is expected to specify its position on Western proposals, including on a peacekeeping mission in Donbas.